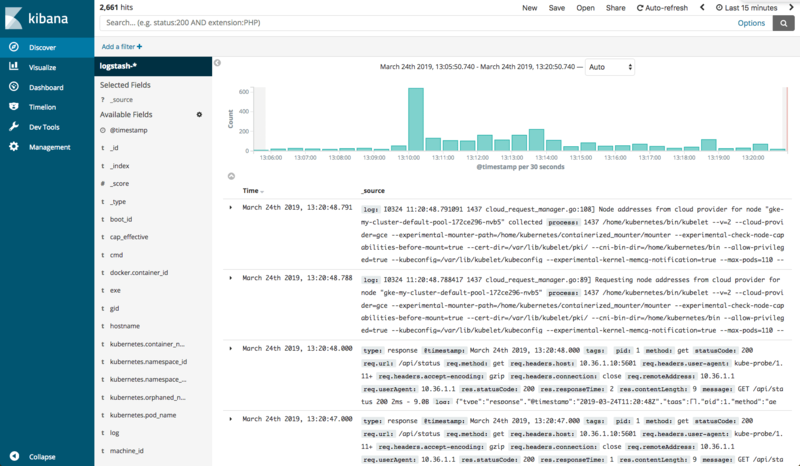 The ELK Stack (Elasticsearch, Logstash and Kibana) is the weapon of choice for many Kubernetes users looking for an easy and effective way to gain insight into their clusters, pods and containers. The “L” in “ELK” has gradually changed to an “F” reflecting the preference to use Fluentd instead of Logstash and making the “EFK Stack” a more accurate acronym for what has become the de-facto standard for Kubernetes-native logging. While Elasticsearch, Logstash/Fluentd and Kibana can be installed using a variety of different methods, using Kubernetes is becoming more and more popular. 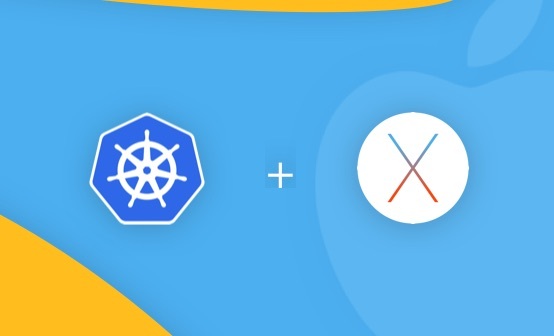 The same reasons you’d use Kubernetes to deploy your application — for automanaging and orchestrating the underlying containers — apply here as well, and there are a lot of examples and resources online to make the process easier. 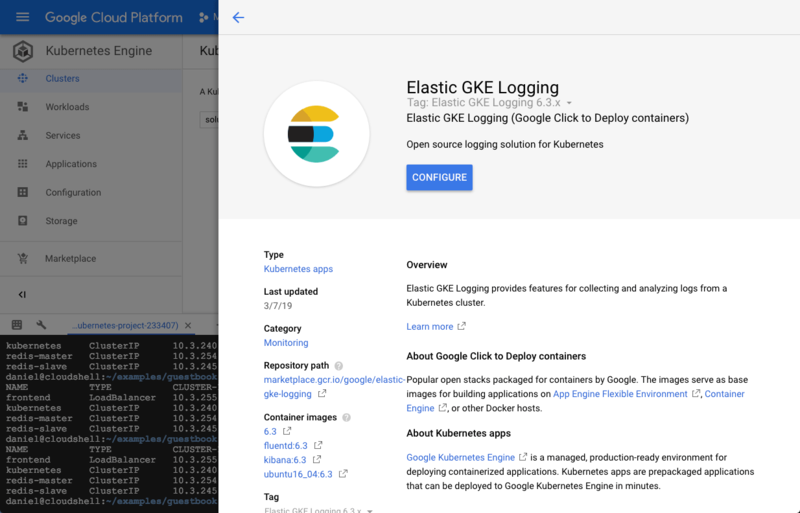 In this article, I’ll be taking a look at one of these resources — a relatively new app available in GKE’s app marketplace called, rather succinctly, “Elastic GKE Logging”. 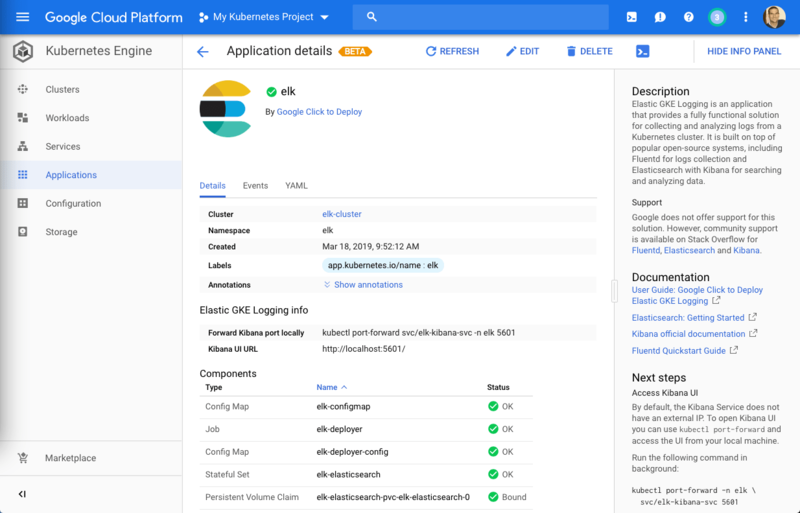 As the name implies, this app is a turnkey solution for deploying a fully functioning logging solution for Kubernetes comprised of Elasticsearch, Kibana and Fluentd. As described on the GitHub page, the app deploys an Elasticsearch StatefulSet for the Elasticsearch cluster with a configurable number of replicas, a stateless Kibana deployment and a fluentd DaemonSet that includes predefined configurations for shipping different logs. Source: Elastic GKE App repo on GitHub. Before we can proceed with deploying the GKE Logging app from the marketplace, there are some basic steps to take to prepare the ground. If you’re new to Google Cloud Platform (GCP) and haven’t created a project yet, this is the right time to do so. Projects are the basis for creating, enabling, and using GCP services, including GKE’s services. 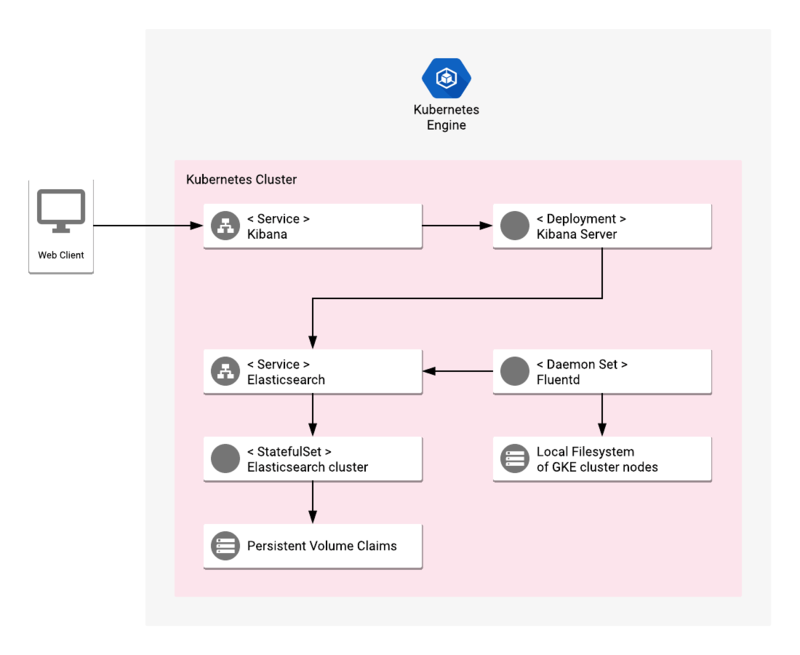 Once you’ve created your GCP project, you will need to create a Kubernetes cluster on GKE. Just follow the steps as outlined in this article. When creating your cluster, I recommend you choose a node size with 4, 8, or 16 CPUs and a cluster size of at least 2. Of course, you can always start with a small setup and then scale up later. To connect to my GKE cluster with kubectl, I use GCP’s CloudShell service. You can, of course, do the same from your own local terminal in which case you will need to download and set up gcloud. 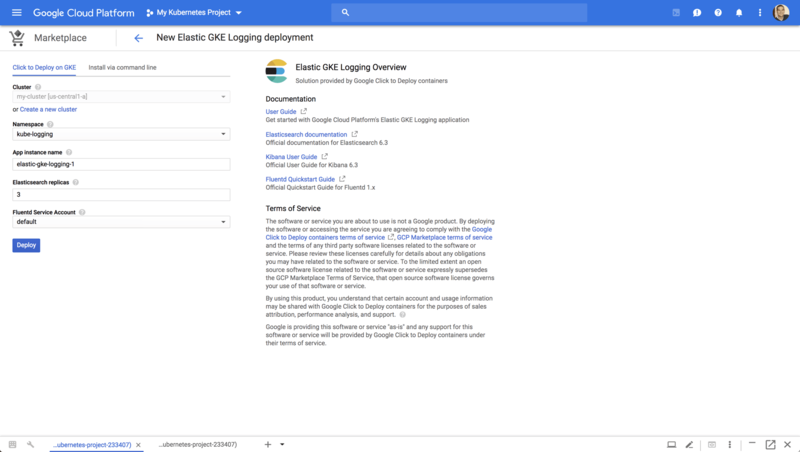 We’re now ready to deploy our EFK-based logging solution using the Elastic GKE Logging app. Cluster – In case you have multiple Kubernetes clusters, select the relevant one for deploying the EFK Stack. In my case, I only have on running in my project so it’s selected by default. Namespace – For your namespace, be sure to select the kube-logging namespace you created in the previous step. App instance name – You can play around with the name for the deployment or simply go with the provided name. Elasticsearch replicas – The default number of replicas for the Elasticsearch ReplicaSet is 2 but for larger environments and production loads I would change this to a higher number. Fluentd Service Account – You can leave the default selection for the fluentd service account. Click the Deploy button when ready. 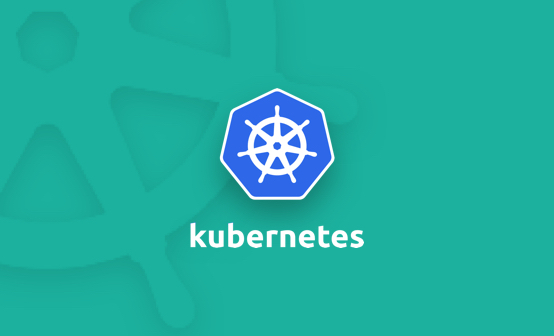 Before we take a look at our Kubernetes logs, let’s take a look at some of the objects created as part of the deployment. Your next step is of course to begin analyzing your Kubernetes logs. I’m not going to specify the different ways in which Kibana allows you to query and visualize the data, take a look at this article for more information. Suffice to say that within a few minutes, and without too much work on your part, you’ll be able to gain operational visibility into your cluster. The Elastic GKE Logging app is a nice way to set up Elasticsearch, Kibana and Fluentd on Kubernetes. 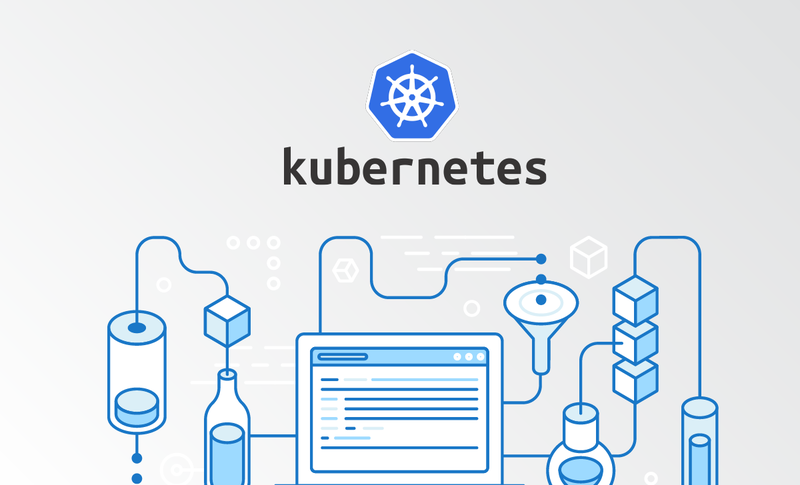 For production environments, however, you will want to explore more advanced Kubernetes deployment methods. Separating nodes in different roles for example, with master, data and ingest nodes is a common design pattern that will result in better performance (I experienced some sluggish performance even with a basic configuration). Exposing both Elasticsearch and Kibana using ingress is also a better way of allowing access from the outside to the cluster. You will also need to look into ways of cleaning up your Elasticsearch clusters, with Curator being one way to go. But again — if you’re just getting started with Kubernetes and want to set up a quick development EFK Stack, this is a great way to go about it. Get insights into your Kubernetes clusters, pods, and containers with Logz.io.